Armco Barriers delivered in 48 hours or less! 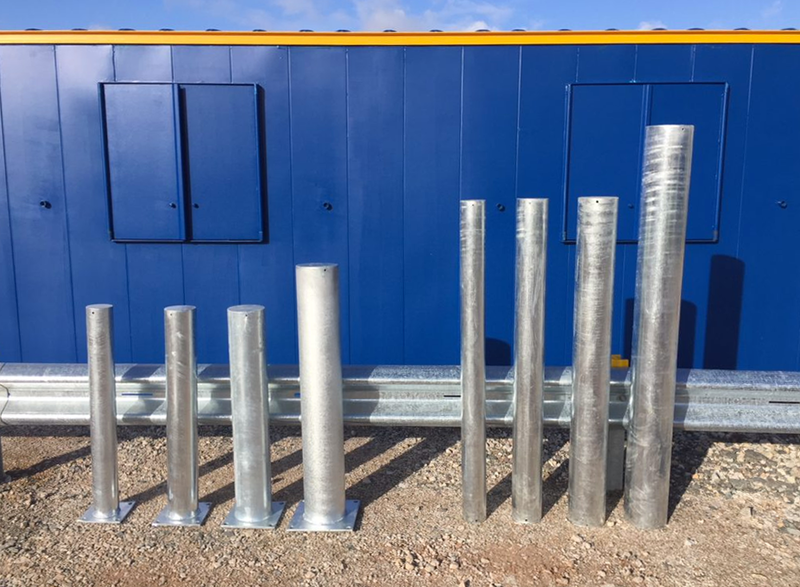 The bollards have a 5mm wall thickness, and are available for both dig in and bolt down installation with a height of 1.0m above ground. We supply these bollards with the standard galvanised finish however we do offer a powder coated yellow RAL 1007 option as well as the option for a reflective chevron band. We can provide bespoke bollards of any diameter, height or finish on request. The bollards have a 5mm wall thickness, and are available for both dig in and bolt down installation with a height of 1.2m above ground. Copyright © 2019 - All Rights Reserved. Armco Direct Limited. Registered in England and Wales No:05646867. Website & SEO by Go Websites. *Refer to terms and conditions. Unfortunately we are not currently running any offers or promotions. However, if you'd like to be notified about any new offers, promotions or news simply fill out the form below. This policy was last updated on Tuesday 22nd May 2018 and is compliant with all the latest rules and regulations in regards to Data protection within the UK. In this policy the use of, “we”, “us” and “our” refers to Armco Direct LTD. In this policy the use of, “website” refers to https://www.armcodirect.co.uk/. We may disclose your personal data to our hosting provider Nublue LTD & website managers Splendid Apple as much as reasonably necessary for the purpose of resolving any issues with the website and/or in order to improve our website for our customers. The term ‘Armco’ or ‘Armco Direct’ or ‘Armco Direct LTD’ or ‘us’ or ‘we’ refers to the owner of the website whose registered office is Armco Direct LTD, Old School House, Nottingham Road, Kegworth, DE74 2EH. Our company registration number is 05646867. The term ‘you’ refers to the user or viewer of our website.